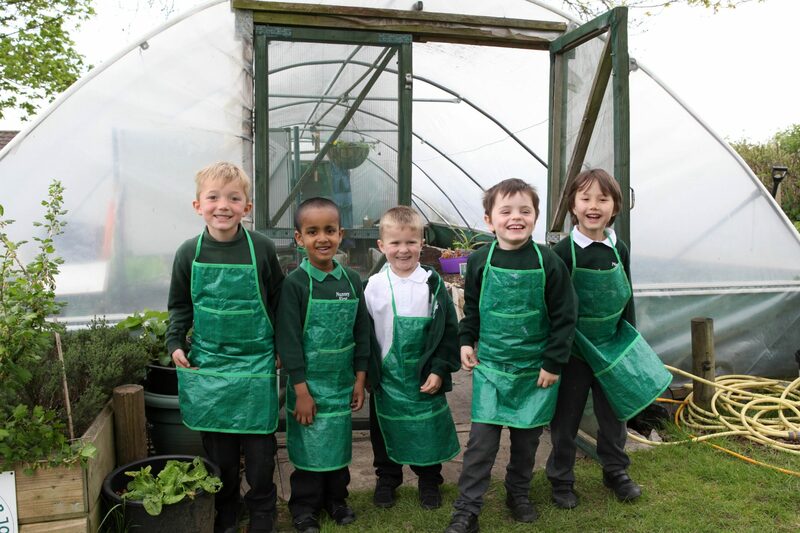 Between February and November, every child at Nunney First School has an opportunity every week to work in the Mucky Pups polytunnel in the school grounds. 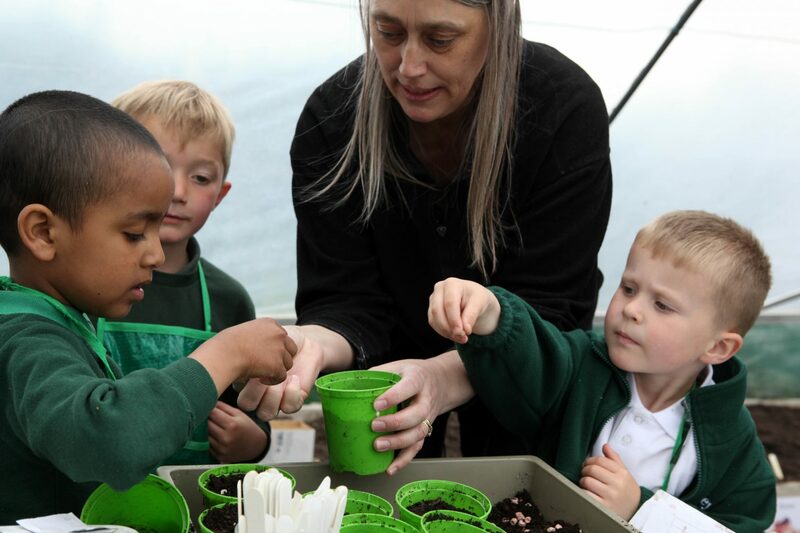 Run by a fantastic team of local volunteers, Mucky Pups hold the prestigious Level 5 in the Royal Horticultural Society Benchmarking Scheme for school gardening. 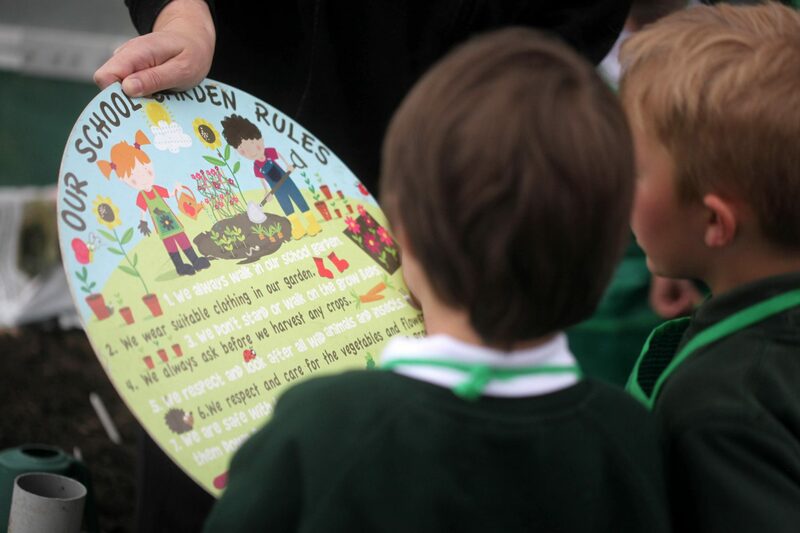 At Mucky Pups we encourage children to be sustainable. We make our own compost, have our own wormery, source locally and recycle wherever possible. 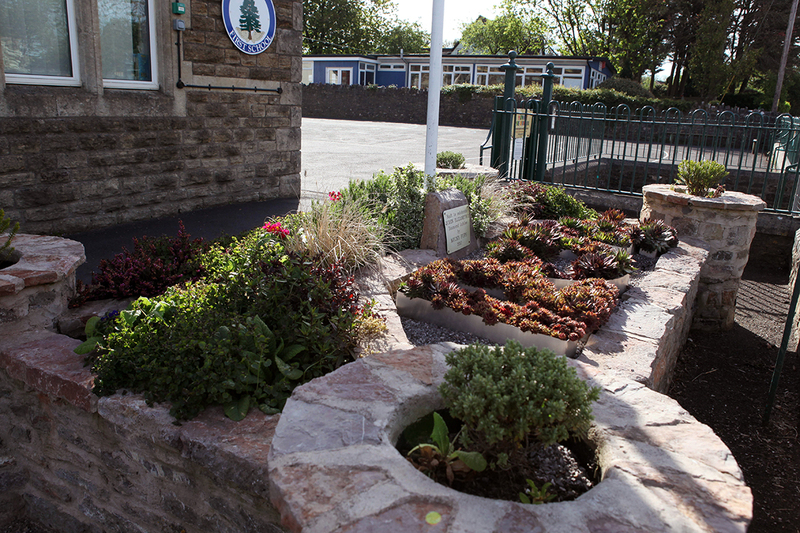 The children grow fruit, salad and vegetables which they enjoy eating and are encouraged to grow flowers to attract wildlife into their gardens. They get dirty and love it, and learn to marvel at the miracle that is a tiny seed becoming something delicious to eat or a beautiful flower. 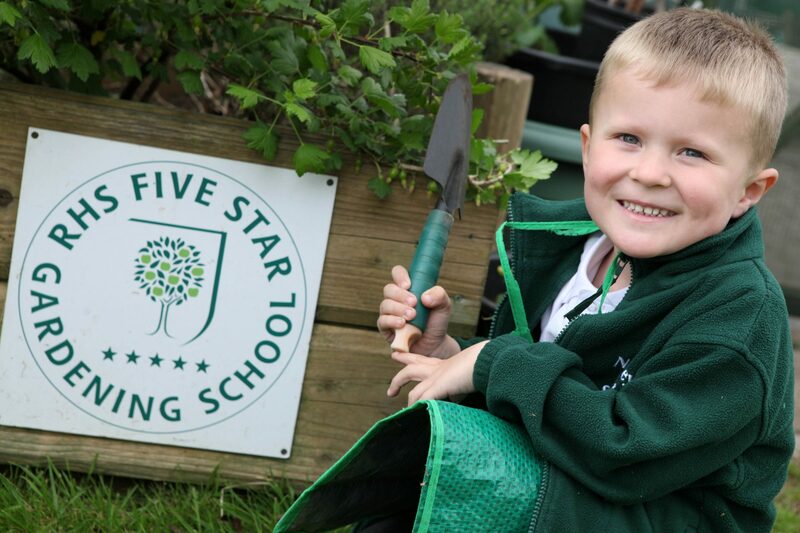 As well as the large polytunnel, there is a sensory garden, an African keyhole garden, a Castle Flower Display, raised outdoor beds and a wonderful Wildlife Pond which was opened by Simon King in September 2015 – all in the school grounds. Mucky Pups get involved in many rewarding activities including the Nunney Flower Show and at the School Fete each summer, the Mucky Pups Flower Show is one of the most stunning and popular attractions. Mucky Pups is generously supported by local organisations including Longleat Forestry, Viridor, Western Skip Hire, Hastoe Housing Association and Homebase. The keyhole garden was rebuilt in February 2015 using some of the stone from the old playground wall. Spring bulbs were planted around the school. Volunteers are always required and welcome, especially experienced gardeners for one hour a week, usually in the afternoons. Please call the school office if you are interested 01373 836429.